Is it safe to drink alcohol in diabetes? 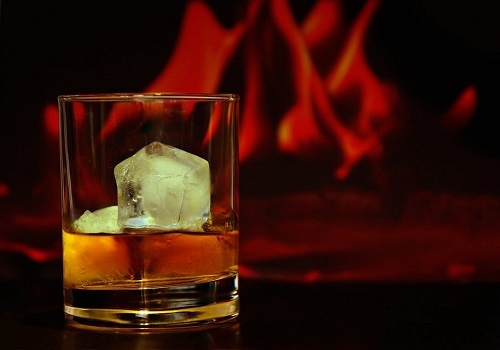 If you are diabetic as well as alcoholic then it might be a bit risky for you because the consumption of alcohol may either cause your blood sugar level rise or fall. But that risk is not high to the extent that you can’t even live an enjoyable life. With little bit safety measures any diabetic can live a happy life with all the luxuries. You must keep in mind that alcohol can make changes to your weight as there are a lot of calories present in it. If you are drinking alcohol, you must know how it is affecting your system and what could be consequences. Also Read: 5 exercises for regulating your Diabetes. Damage to liver: Since, the liver is responsible for removing all the harmful material like alcohol or drugs from the body and then medicines are processed, so if you are taking medications of diabetes and at the same time drink too much alcohol, there are high rate of chances that your liver gets damaged due to the therapeutic changes caused by the mixing of alcohol and medicines which could be really toxic. Weight Issues: If you are a heavy drinker, then it can reduce the body’s sensitivity towards insulin and generally triggers diabetes. Alcohol also contains lot of calories, it can make you overweight as well. Increase in Blood Pressure: If you take alcohol in moderation, there is no need to worry but an excess amount of alcohol may be fatal to health. It can affect you in unhealthy ways as well. It raises your blood pressure and have drastic effects. Since, alcohol contains carbohydrates which can result in increase in weight. It can increase numbness and aggravate neuropathy. Try to drink alcohol only with food. Always mix the liquor with soda, diet soft drinks or water. Avoid drinking more than 2 glasses a day. If you are drinking alcohol, do not drive for several hours, no matter you are diabetic or not. If you want to drink, first consult your doctor and take the permission. If you are a diabetic, do not drink on an empty stomach. Do make sure about the contents and the sugar percentage present in the liquor that you are going to have. Always carry snacks or glucose pills with you. Keep a check on your sugar before drinking and after drinking. Never drink on an empty stomach. It will create complications. Do not skip food if you are going to drink. Do not change your medications without consulting the doctor. Do not perform or participate in any kind of physical activities like dancing or exercising while you are drunk. Do not go to bed without checking your blood sugar level. Don’t guzzle your drink down. Don’t eat fried food and junk while drinking. Don’t drink immediately after exercising. Relax for some time. It is illegal to drink if you are under 18 years. Do not skip your medicines. Also Read: Bid farewell to diabetes with 7 safelty measures. How many pints of alcohol is advisable for diabetics? For women, it is recommended to drink 2 units. Keeping all the do’s and don’ts in mind: While consuming alcohol, you can enjoy a happy life with least consequences. Therefore, it is highly advisable to follow all the safety measures to make sure that your system remains unaffected from the adverse effects of alcohol.